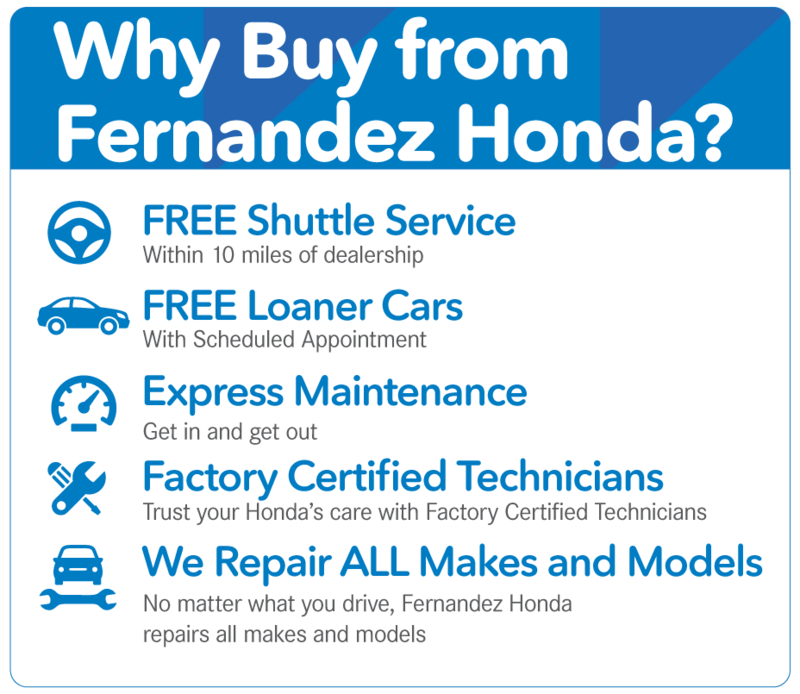 Why Buy from Fernandez Honda in San Antonio, TX? 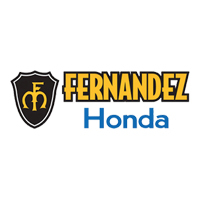 When you are looking for your next new Honda or used vehicle, then Fernandez Honda is your one-stop shop. With our extensive selection, you’re are sure to find a new, used or certified pre-owned vehicle to fall in love with! Helping customers find the perfect vehicle and providing quality automotive service is what we pride ourselves in. You should expect nothing less than a satisfying experience when you visit Fernandez Honda! When it comes to selection, it’s hard to beat Fernandez Honda. We have a large selection of new Honda models and pre-owned vehicles, so we are positive that we can find something to fit your needs, desires, and price range. Are you looking for something sporty or something fast? Take a look at the Honda Accord or any of the other sporty vehicles on our lot. Need to hall some lumber to your next worksite or tow a trailer on your weekend adventure? Take a look at the Honda Ridgeline. Need room to fit the family or a bunch of cargo for a road trip? Learn more about the Honda Pilot. You can shop with peace of mind at Fernandez Honda knowing that you’ll be getting the best price on any vehicle in our inventory. Whether it is a sales associate or a service technician, we only take on staff that is extremely professional, well versed in the automotive industry, and will be a positive member of our exclusive team. Because of this, it is our strong belief that we have one of the most knowledgeable and customer-friendly teams to find you the best vehicle for your wants, needs, and price range. So whether you are coming in to check out a vehicle on our lot or getting service on a vehicle that you already own, you will always be greeted with a smile and a handshake and be treated with the upmost respect. We want to serve you. Give us the opportunity today by coming to our convenient location at 8015 IH 35 S. or giving us a call at (210) 928-1500!